After a day of role play and fun interviews with the boys, another great day was ahead of us and this time it was sunny and warm. The boys woke at 9am for a quick shower and breakfast at school. Nuno asked the boys to tidy the room which they did promptly and to prepare their bags for the friendly against Goliardicapolis 1993. 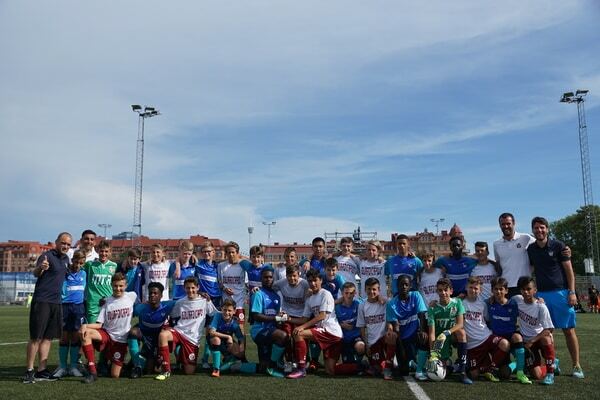 We then headed to Heden Centre where we watched the U15 girls final, which was won by a Norwegian team who played beautiful football and we also watched the first half of the U16 boys final. We had lunch in one of the restaurants at the stadium and met with the Goliardicapolis team, which is coached by a good friend of EFA and of Coach Nuno himself, Coach Rui Machado. 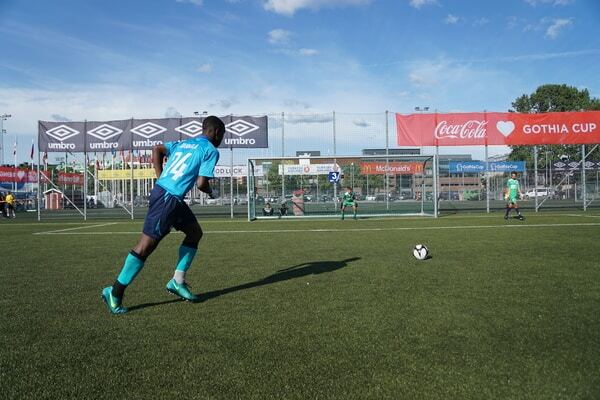 We watched the U17 final between Right to Dream and Tiki Taka, and although the boys liked both teams, they supported our close friends Right to Dream Academy from Ghana, who ended up winning the Playoff A U17 Gothia Cup, so we had plenty of reasons to celebrate. 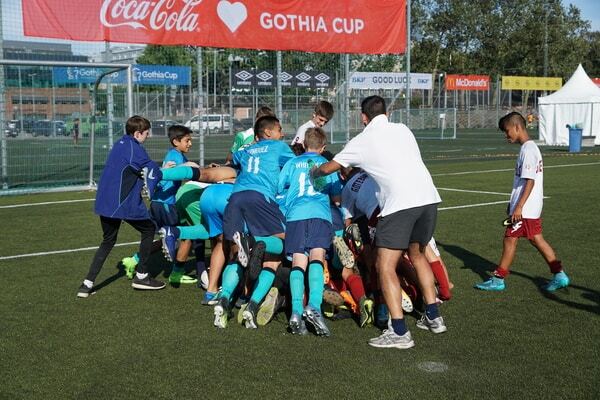 After that we went for our friendly match and since we were missing some players – goalkeeper Rex included – who had already gone on holiday and left Gothia, Coach Rui got us one of the Italian goalies and we started our match. We ended up winning 2-1, but very demanding Ref Nuno ignored the second goal as both teams wanted to go to penalties. 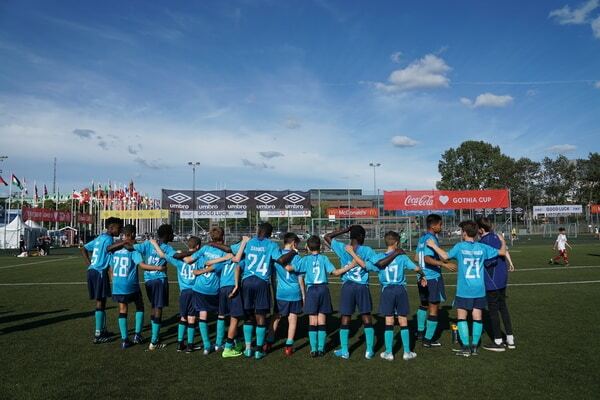 Everyone got a shot at penalties and nobody knows who won in penalties – nobody bothered to count the goals as the coaches just wanted the boys from both teams to enjoy themselves and have a go at penalties. We came back to the school, the boys had a shower and started packing and coach Nuno ordered pizzas for the night. Boys had fun playing games in the room and were soon in bed for a long night of sleep. Tomorrow it’s time to go and it’s great to see the boys having fun in their last days at Gothenburg.